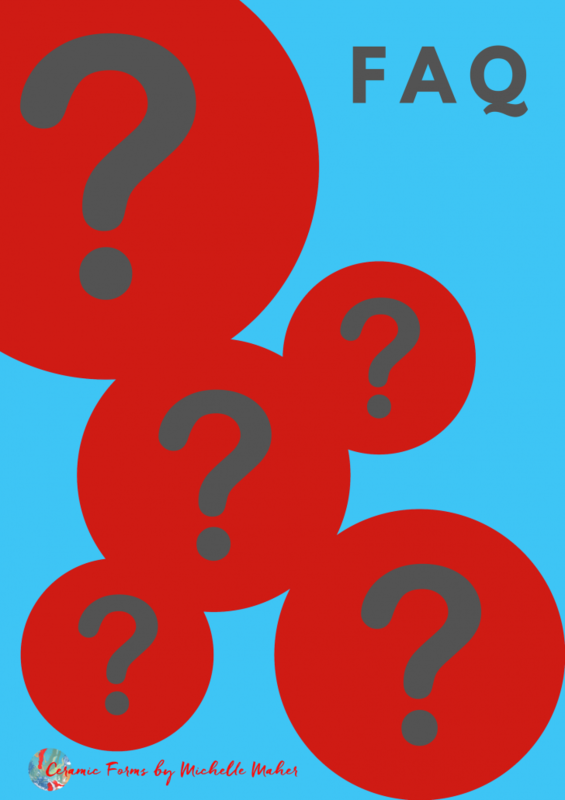 The FAQs below should cover most course queries. The Weekly Class and Weekend Course pages also have a lot of info. When will the next weekly course begin? At my first weekend course – what will I be doing? How often do Weekend Workshops run? I’m a total beginner and I’ve never worked with clay before can I still join a class? Are there any Terms and Conditions for classes/workshops? Do you have throwing facilities for wheel based work? I received a gift of a voucher which is now out of date, what can I do? Do you offer courses for children or teenagers? 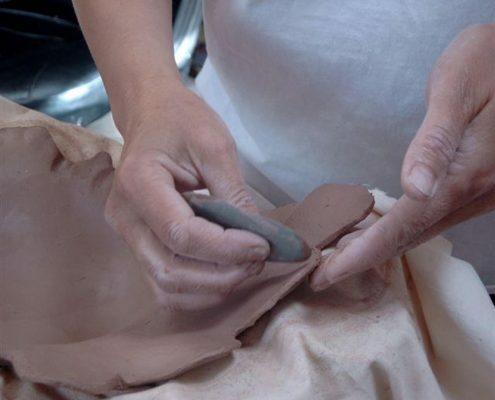 I’ve worked with clay before, will the classes be advanced enough for me? Do classes follow school term times? Is the studio assessible by bus? How far is the studio from city centre? Is the studio easy to find? Evenings and mornings weekly courses do not start on set dates. 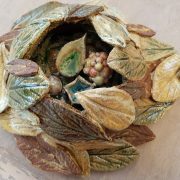 Ceramic courses run all year round so you can join at any time as long as there is a place available. However, all weekly pottery classes are currently full and a waiting list applies. Places do come up but weekly classes are very busy recently so the current evening class wait time is about 18+ months and for Tuesday mornings it’s longer – 20+ months. Please fill in this course register form if you would like to be placed on the waiting list – I will definitely get you a place – it’ll just take some time! Apologies for the delay. At my first weekend course - what will I be doing? While the weekend courses have specific topics listed, I take an individual approach with everyone so if you are a complete beginner or haven’t worked with clay for a long time to introduce/reintroduce you to ceramics I’d start you on what’s called a press-mould bowl. The press-mould (this is a plaster mould in a particular shape that we form the clay into) is a great way to get used to the clay and tools etc. and you’ll get to learn a lot without the worry of what is it! At any rate it’s a decent sized bowl (about 30cm diameter) and we have a few designs you can choose from. 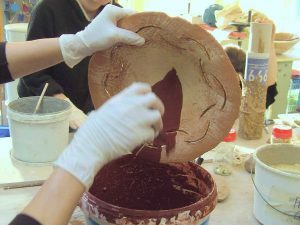 Then this bowl can be used to explore some decorating techniques such as coloured slip decoration and other methods like carving, cutting, splashing, modelling, resists or the use of mixed media with slips. That bowl usually takes about one day to complete. If time permits you can do another small piece on day one or prep. for day two depending on your chosen option. 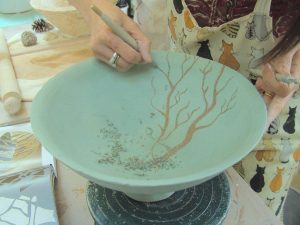 After decorating, the bowl will be dried naturally and then biscuit fired in the kiln and then glazed at a later date and collected after the second glaze firing. This can take 6-8 weeks depending on the firing schedule and what glazing option you choose. Normally people attend a one off night class to glaze their pieces, a single class is €28. 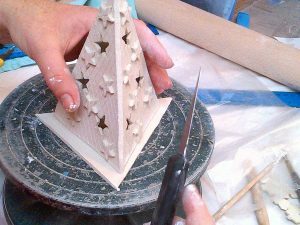 If you are doing a second day you would work on another piece of your own choice – depending on the course theme this could be a lamp, jug, wall piece, vase, garden piece, sculpture – the list goes on! We can discuss your area of interest on the day. I run workshops on a Saturday and/or Sunday once a month, all year round. You can attend for 1 or 2 days – however you must pre-register for Weekends! Please note weekend courses are very popular & weekend courses usually sell out – please fill in this course register form if you would like to be notified about weekend courses. Details of how the courses work are on the Weekend Courses page. No, I provide all tools and materials. However, it is a good idea to wear an old shirt or apron to protect your clothes. I‘m a total beginner and I’ve never worked with clay before can I still join a class? Absolutely, beginners are especially welcome. Because of the small class size and the positive atmosphere in the classes you will be surprised at what you can achieve in a short space of time. 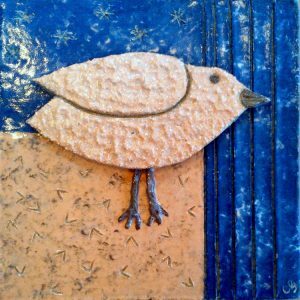 Contrary to what you might believe you do not have to be “creative” to do pottery or ceramics. All you need is a willingness to learn and I will teach you the rest. If you are not convinced take a look at the Gallery of Students Work. Most of my students started with me as total beginners. Are there any Terms and Conditions I need to know before coming to a class or workshop? There are a few T & C’s; otherwise it would make the planning of the workshops/classes impossible. Please take the time to familiarise yourself with them. If you have any questions please let me know! A €70 booking deposit is required to hold a 6 week place. After booking all deposits are non-refundable and non-transferable. All ceramic materials are provided, however a fair usage policy applies. Weekly classes run in courses of 6 consecutive weeks; however you can miss 1 class in a course without penalty, so in other words you can take 7 weeks to do 6 classes (you get 1 ‘credit’ week). Please remember to give me as much notice as possible if you’re going to miss a weekly class, otherwise if you ‘No Show’ you will lose the class or if you don’t have a ‘credit’ week remaining you lose the class. If you don’t miss any classes in a 6 week course I’ll carry that ‘credit’ week forward for you if you’re continuing with another course. If something comes up one week and you wish to come on a different night other than your regular one – this is no problem if there is room in the other class, please text me to check availability, I do my best to accommodate people. Classes run on Monday/Tuesday/Wednesday’s 7.30-9.30pm and on Tuesday mornings 10.30am-12.30pm. If you ‘No Show’ for a class you lose the class, please remember to text me when you can’t make a class. 48 hour notice is required for cancellation of a new course of classes, booking deposits are non-refundable & non-transferable. Please note classes do not run on bank holidays. The booking deposit is €45/€80 for a one/two day weekend workshop. For team events the deposit is 50%. A deposit secures your place. 48 hours notice is required for cancellation of a weekend workshop/course or team event, if less notice is given payment in full is due but in either case booking deposits are always non-refundable & non-transferable. If you ‘No Show’ for a weekend workshop/course or team event you lose the workshop and payment in full is due. COLLECTION OF PIECES ***You need to collect your pieces from the studio after they are fired! *** Due to a lack of storage space, uncollected work will be disposed of after 6 months. Co-operation in collection of work is greatly appreciated. Uncollected pieces will be donated to a nominated charity. We are currently supporting With Love, the charity shop for To Children with Love. What payment methods do you accept for booking deposits? You can pay by cash, bank transfer, credit or debit card (over the phone) and by PayPal – whichever is easier for you. All classes/workshops are payable in advance. Deposits are non-refundable and non-transferable and 48 hours notice is required for cancellation. Full terms and conditions. Please remember to confirm availability by email before paying your deposit by PayPal. No, we specialise in hand-built ceramics in all my courses. Throwing on the wheel is not available. We cover the following hand building methods: press moulds, hump moulds, slab building, soft slabbing, coiling, pinching, patches, quilting, modelling – tailoring the method to your individual project. Your approach can be sculptural or functional, representational or abstracted – the choice is yours and in the small class size I offer – you will be guided right through the project from building to decorating to glazing. Please note: Quilting and Patches are only covered in weekend courses. Apologies – gift vouchers for 6 week courses and weekend courses are currently unavailable – all classes are full and a waiting list applies! I will reintroduce vouchers when the waiting list clears; but at the moment gift vouchers are not available. If you want to purchase a voucher for someone who is currently attending my courses that’s no problem as they already have a place, please contact me and we can make arrangements. I received a gift of a voucher for classes/workshops which is now out of date, what can I do? If your voucher is out of date please contact me and I’m sure we will be able to sort something out. If you lost the original voucher I can check my records and trace it for you. If you already have a voucher and courses are full please email me and I will put you on the waiting list. No, I’m afraid not. My private classes are for over 18’s only. The work I do with young people is all school/project based, working on large-scale collaborative pieces. Yes, due to the small class size everyone works on individual projects at their own level and pace. The classes are tailored to develop your skills to whatever level you want to achieve. 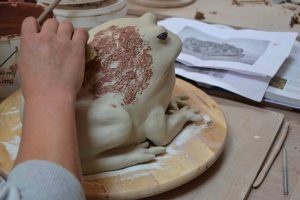 Some of my students have studied Art or Ceramics at University level and now attend the classes to enhance their 3-D skills in clay. Do the classes follow school term times? No, classes are ongoing all year round. We don’t start new courses in September or January you can join a class at any time, provided a space is available. However, all weekly pottery classes are currently full and a waiting list applies. Is the studio accessible by bus? Yes, it is on the 37 bus route from Dublin City Centre. The journey takes about 45-75 minutes, depending on traffic. I will send further details after you book your class. Always check that I am available before travelling. Please note it is a private studio, I’m afraid I cannot accommodate drop-ins. My studio is about 12 kms from the city centre and is easily accessible by bus, train, taxi or car. Please note it is a private studio, I’m afraid I cannot accommodate drop-ins. After you book a place on a course I will send you full directions by email. Always check that I am available before travelling. Please note it is a private studio, I’m afraid I cannot accommodate drop-ins.